Linda brings a combination of experience, compassion, personal attention and expertise to each case. Keep reading to see if Linda is the right lawyer for your unique case. As a lawyer, Linda K. Howerton seeks to obtain the best results for her clients, and to provide quality services at a reasonable cost. She is committed to settling cases early in the proceedings without sacrificing her client's interests. 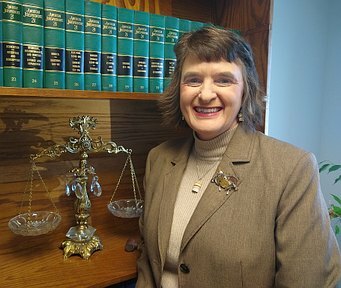 If litigation is necessary, Linda K. Howerton has the necessary legal experience, compassion and willingness to aggressively pursue the best results for her clients. She is lawyer who is committed to accessibility and will personally handle your case. When it comes to family law, your case is unique. Linda K. Howerton strives for timely resolution of difficult family situations with a minimal level of confrontation, particularly when children are involved. Linda K. Howerton offers a free thirty-minute consultation. Call her for answers to your questions. Linda K. Howerton was born in Wichita, Kansas in 1965, with the surname of Hyndman. She graduated with a B.A. from Oklahoma City University in 1988 in General Business and Journalism. She graduated from law school at the University of Missouri, Columbia, in 1991. From 1992 to 1998, Linda was a lawyer for the Missouri Department of Social Services. She was an Administrative Hearing Officer and heard cases ranging from Medicare; professional certifications; child support; and financial and medical eligibility for various government programs. From 1999 to 2004, Linda was a lawyer for the Kansas Department of Social and Rehabilitation Services. Her primary responsibility was the establishment of paternity and collection of child support. In 2004, Linda opened her private practice in Wellington, Kansas and is a sole practitioner. Linda is licensed to practice law in Kansas and Missouri. This site does NOT contain legal advice. There is NO attorney/client relationship created by any information given on this site! Linda K. Howerton is only licensed to practice in Kansas and Missouri. For matters in other states, contact an attorney in that jurisdiction. © 2016 Linda K. Howerton, all rights reserved. Page updated: December 2, 2018.